Stella Minge, who had been in the merchant navy, had a house in Silvertown, (map) Newham, London, in the 1950s and 1960s, that was known for its frequent Friday night parties that often lasted until Sunday or even Monday. Stella, a queen herself, often encouraged younger queens, and her place was generally known among sailors, straight as well as gay, as the place to go when in London. Police officers often stopped by because of the noise complaints, but individually would come back when off duty to join in the fun. Sometimes it was raided. One day when Stella was going to be away for a while she went to the local police station to ask them to keep a eye on her house. The constable replied: "Stella, we've been keeping an eye on your house for donkeys' years". *Not the DJ in Rochdale, nor the alias of Sapphire Dior. Kris Kirk & Ed Heath. Men in Frocks. London: GMP, 1984: 32. Ian Lucas. Impertinent Decorum: Gay Theatrical Manoeuvres. London: Cassell, 1994: 54. Ann Edmead. Tumbleweed: The Boy. Strategic Book Publishing, 2011: Chp 6: Stella Minge, the Queen of Silver Town. Minge is slang for female pubic hair, but there are real people with the name (try googling it). So it may have been Stella’s birth name, or it may just be a drag name. 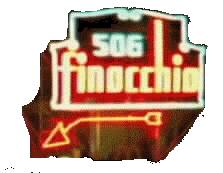 We have earlier seen that Finocchio is a negative word for gay in Italian, but also the name of real people. Stella’s home is referred to as a ‘bawdy house’ in Men in Frocks. It could also be described as a Molly House – the last one in London? And still active in the 1960s.